Gone are the days when afternoon tea was all about the scones and petit fours. Now, increasingly, it is the actual tea house that takes centre stage as the ritual of the tea ceremony undergoes a renaissance. While you may be unaware still of some of the premium names that the luxury hotels and restaurants use here we invite one such brand to tell us more. CANTON TEA CO – WHAT’S THE STORY? 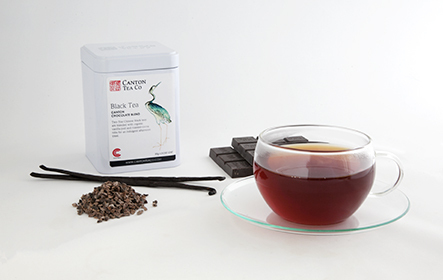 Canton Tea Co is a speciality tea supplier to some of the top restaurants, hotels, cafés and shops in the UK. They source teas from around the world, from outstanding green and oolong teas produced by small family run farms in Taiwan, to rare artisan puerhs made by top Chinese Tea Masters. They build strong relationships direct with the producers and have trusted local buying partners to guarantee consistent quality. A member of both the Ethical Tea Partnership and the Sustainable Restaurant Association, they know the provenance and production method of every tea. Practically every aspect of eating and drinking in our nation’s restaurants has undergone massive improvements over the last decade: décor, ambience, tableware, service, but above all the food and drink. More emphasis on provenance, freshness and cooking skills creates a more satisfying experience. Great wine lists offer real value, locally-sourced meat and fish and fresh organic vegetables, even salt and vinegar give restaurants a way of differentiating themselves and pleasing their customers. Tea and coffee are relative latecomers to the party, but now at last more hotels and restaurants understand tea is no longer an after-thought, but should have it’s own proud place on the menu. ‘You’ve gone to huge effort and expense designing the room, furniture and menu, and sourcing the best ingredients. It’s a shame to end the customer’s experience with a very ordinary cup of mass-produced tea.’ says Jennifer Wood, founder of Canton Tea Co. Perfect spheres of rolled green tea, naturally infused with fresh jasmine. 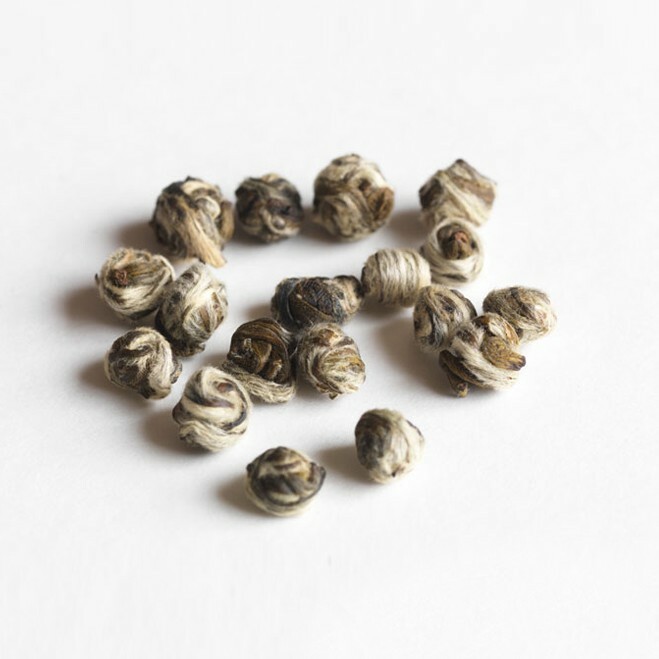 The pearls unfurl in the cup as they infuse, releasing a fragrant infusion with soaring notes of jasmine. 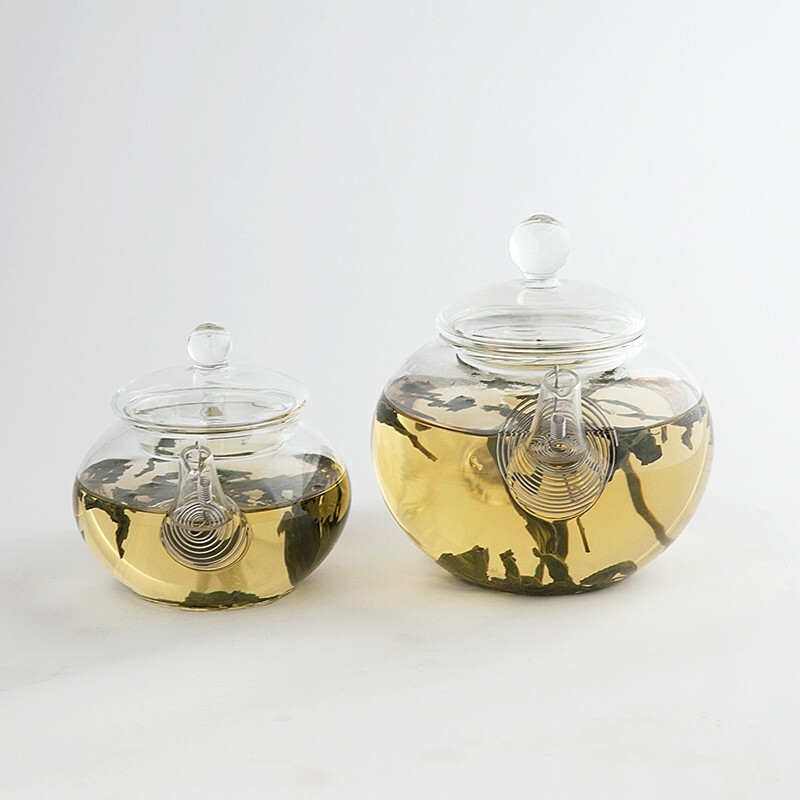 Soft, plump young tea buds release a champagne coloured infusion with delicate, creamy notes of honeydew melon. Mao Jian is grown high up in the cool, misty mountain air of Fujian, China. It has a clean, refreshing nutty and green bean taste with a lingering sweet aftertaste. 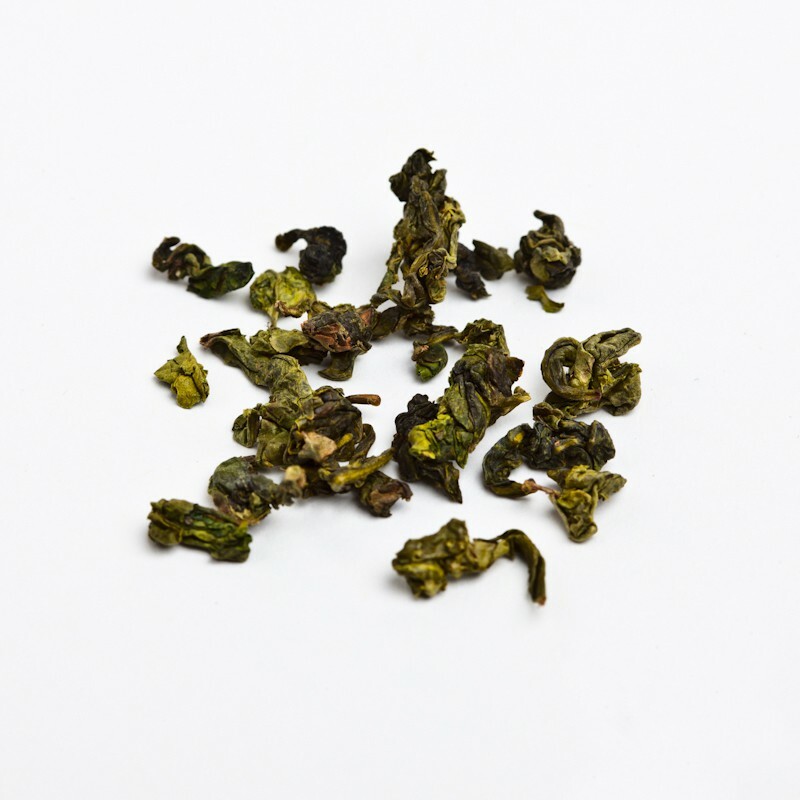 The perfect introduction to oolong tea. The rolled toasted leaves release a fruity, golden infusion with floral top notes. Full of complex flavours with the smooth maltiness of two high grade Assams from the Nokhroy and Siajuli estates, the velvety richness of a Chinese Yunnan black, a smooth creamy character of the Ceylon black from the Doomgastawala estate, and a toastiness of the Rwandan black from the Rukeri estate. They all bring special characteristics to the blend. Combining malty Assam and velvety Yunnan Black tea with Peruvian cocoa nibs and Madagascan vanilla pod. Deep, rich and moreish, this is an irresistible tea, rich, dark and sophisticated. A glorious mix of herbs and spices with notes of warming ginger and cinnamon, complemented by whole cardamom pods, sweet liquorice root, rose petals and vanilla pod. A rare Taiwanese oolong. The leaves are only picked once they’ve been nibbled by the tea jassid – a small cricket. The tea bush releases a defence enzyme, which gives the leaves a lovely citrus note so the tea liquor is bright, aromatic and distinctive. Canton Tea Co customers include Café Royal, The Waterside Inn at Bray, China Tang at The Dorchester, Rick Stein, River Cottage Canteen, Helen Darozze at the Connaught, Old Parsonage Hotel, The Stafford Hotel, Pollen St Social, Petersham Nurseries, Kensington Roof Gardens, Jamie Oliver’s Fifteen, Tom Aikens, RHS Wisley, Harrods, Harvey Nichols and Selfridges to name a few. If you would are looking to create your own tea menu please phone: 0844 417 6363 or email sophie@cantonteaco.com. Canton Tea and teaware can be purchased direct from the website at www.cantontea.com. Buddha Bar Restaurant, Knightsbridge – for details click here. Royal Exchange, London City – for details click here. Babylon at The Roof Gardens – for details click here. Cafe Royal, Regent Street London – for details click here. Helene Darroze at The Connaught – for details click here. Harvey Nichols – Fifth Floor Restaurant, Knightsbridge – for details click here. For inspiring places to dine go to www.designrestaurants.com and indulge in the UK’s most luxury venues.